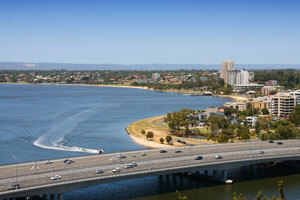 Main Roads Western Australia (MRWA) has awarded the tender to construct an extra northbound lane on Perth’s Kwinana Freeway using smart technology. SmartWays Alliance, comprising BMD Constructions, Ventia and Arup, will work with MRWA on the $47 million project under the contract arrangement. The joint Federal- and Western Australian-funded project involves creating an additional lane from Canning Highway to the Narrows Bridge and make use of smart technology to safely implement an ‘all lane running’ environment, according to Western Australian Transport Minister Rita Saffioti. The smart freeway infrastructure includes enhanced lane-use management, variable speed limits and coordinated ramp signals to deliver safer and more efficient roads. “In a constrained location where the railway and Swan River prevent traditional widening works, smart freeways offer a great solution to help alleviate and manage congestion, while also improving safety for road users,” Ms. Saffioti said. Planning for the project is underway, with construction and installation expected to be completed in 2019. It is earmarked for operation by early 2020.